A high and stable quality is what makes a business flourish. It’s also UA’s main competence, and promise order after order. 1. Meticulous quality standards. With every order we communicate in full detail the order requirements in advance. 2. Stringent quality inspection. UA does pre-production, production, and post production quality controlling to deliver assured quality without compromise. 3. State-of-the art testing machines and methods. Our proven and trusted equipment eliminates quality risks. 4. Skilled QC and QA Experts. The final mainstay of our quality expertise is the people leading it. 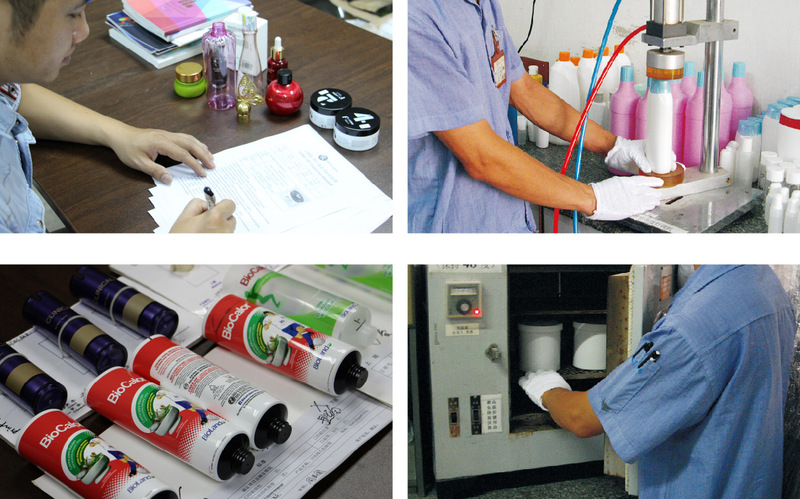 All order requirements are translated into a mutually agreed quality control document. Together with a sample that serves as the standard for production, and a range board controlling coloring or scratching marks for example, production tolerances are ensured to meet the requirements. Choosing for quality saves you money in the long run. We understand the importance of a brand’s reputation, and by choosing poor quality it’s so easily put at risk. With UA’s quality and service you take away the headaches when purchasing packaging, and eliminating any surprises for your customers to run into. Our quality engineers work carefully and precisely to ensure the delivery of qualified packaging only. Our QC engineers work closely together with our mold engineers in assuring the packaging is produced according to the highest possible standards. For example, the lid of an acrylic jar should have a very sharp appearance, but at the same time it should be comfortable to hold, and avoid sharp edges. The contradiction of these elements is what our engineers work on every day, to achieve results that are for example both sharp (in appearance) and smooth (in function). 3. State-of-the art testing machines and methods. UA has invested in the best testing equipment available, and we follow industry leading testing methods to ensure the best quality packaging. The equipment ensures easy control of the quality, taking responsibility away from human judgement. Examples of quality checking equipment we use are for checking the surface hardness, and sealing. The key feature of rigid controlling methods is that it’s easy to use by our quality engineers. By making quality control easy we eliminate any problems arising from a lack of or wrongful quality assurance. Our engineers are skillfully trained from the top universities in the country, and experienced in assuring quality for the world’s top brands. We understand your position, and how important quality is for you and your customers. We have many customers worldwide already putting their trust in us and these customers keep returning while also gradually increasing their order amounts over time. Our QA department takes care of the quality of packaging to ensure a brand’s reputation is put in the best possible position to succeed.